Someone is trying to sam Katherine Jackson. 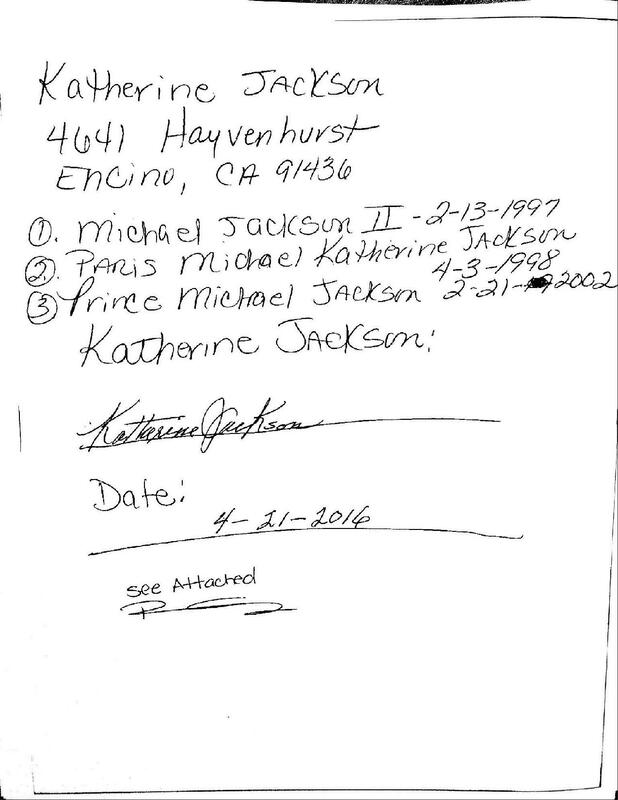 Papers were recently discovered with her “signature” in which Michael Jackson’s mother was seen signing away the rights to her old home in Encino, California. Mrs. Jackson hasn’t lived there for years, but the house– a walled compound– still exists on Hayvenhurst Avenue. Unfortunately, whoever tried to sign away the house from Mrs. Jackson didn’t realize something important: she doesn’t own it. The property has been owned by Michael Jackson’s estate since he died. Michael himself owned it before that for years. You may recall he almost lost it in foreclosure back in 2005. 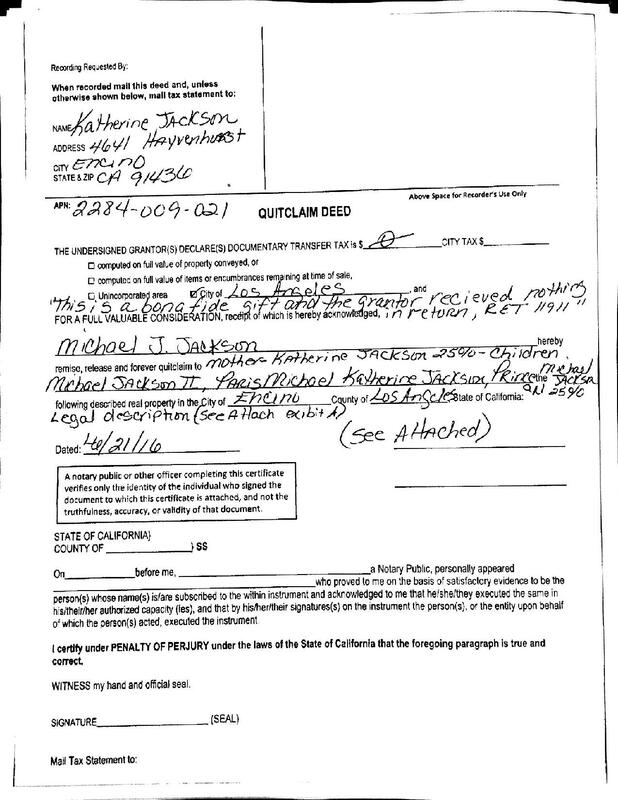 Someone– no one knows who but there is speculation– got Mrs. Jackson’s signature, had it notarized and stuck onto a Quit Claim notice. Mrs. Jackson has lived with her grandchildren– Prince, Paris, and Blanket– in a house now owned by Michael’s estate in Calabasas, California. The only other person who’s around her all the time is Joe Jackson’s nephew, Trent Jackson, who acts as her daily aide and supervisor. You might think this is a strange story if you’re just joining our program in progress. But really, it’s just another bump in the long road that is the Jackson Family Highway to Hell.